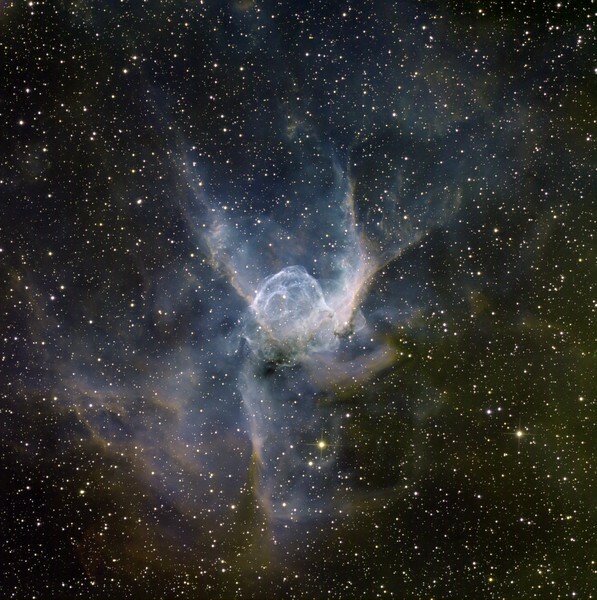 Thor's Helmet, NGC 2359 in Canis Major. R: NII, G: H-alpha; B: OIII.. Each 6hrs x 1hr subs. Blue OIII is excited by the hardest UV from the central Wolf-Rayet star. Red NII shows more tenuous material recycled from stellar depths.. Aspen 16M on 20" PlaneWave.